You guys. We have had the most mild winter. We’ve had very little snow. It’s been kind of weird. We had a warm January. Like warm enough that we didn’t have to wear coats, just a jacket sometimes. It’s been so weird. In February, we did get a couple of snow storms that were pretty big. It was so fun to get some snow and have a winter. 🙂 It was just enough snow to get to enjoy it, but it has melted pretty quickly, and I’m happy about that. All that said, I am looking forward to Spring and the weather warming up and the earth coming back to life. The other day I was thinking about Easter time and getting ready for that, and it hit me how quickly it will be here! It’s only about three weeks away. 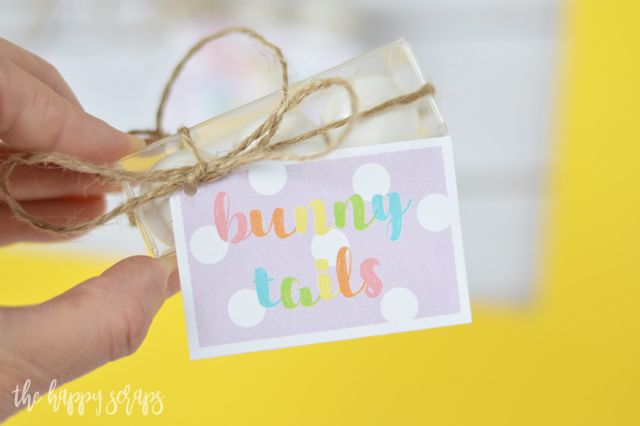 So, I got to work and I put this fun Bunny Tails Easter Favor together. I’m sharing it here with you today. The first thing that I did, was print out my tags. While you may not need an entire sheet of these, it was just easier to use the space of the whole sheet, so you have plenty. 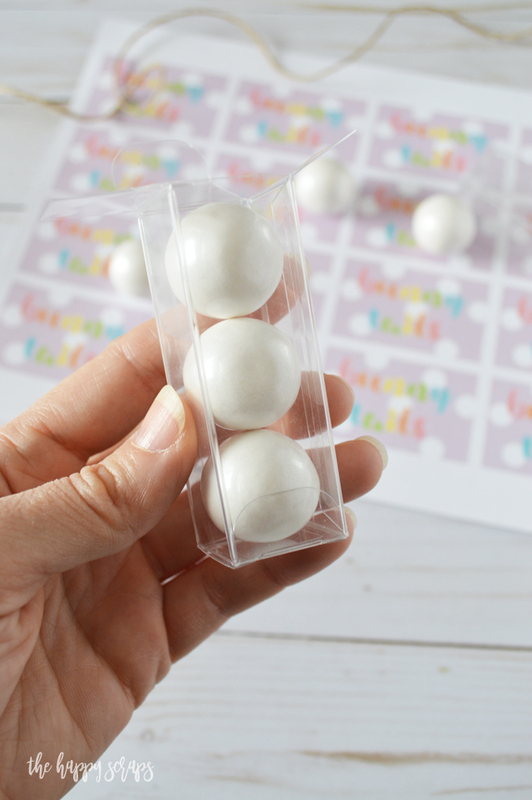 🙂 Then I filled my little boxes with three gumballs each. I trimmed the tags. You can’t really see it, but there are some cut lines on the print to help you get them cut where they need to be. Punch a hole in the corner of your tags. 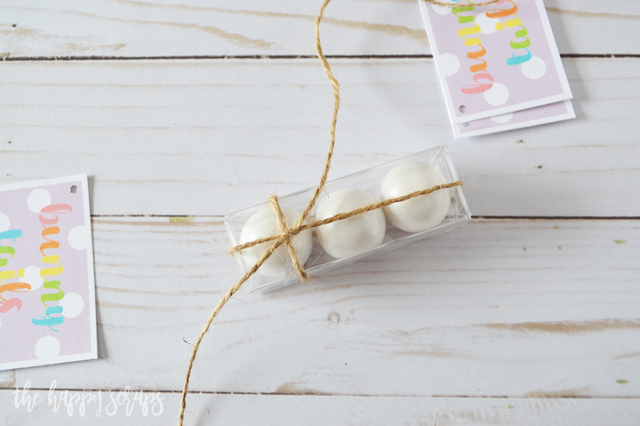 Tie your box with the jute twine, creating a knot where you want the tag to go on to it. 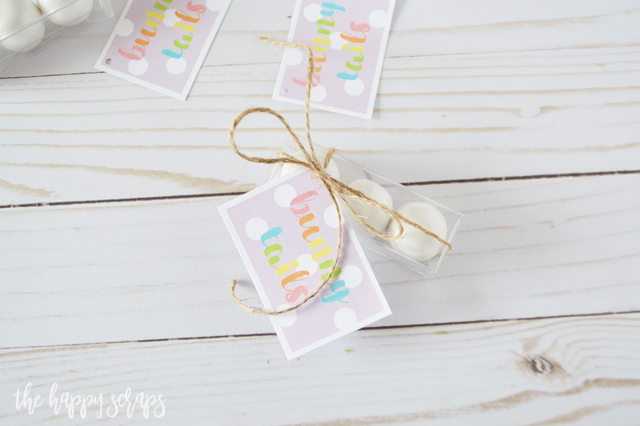 Slide your tag onto the twine and tie it in a bow. That’s it. 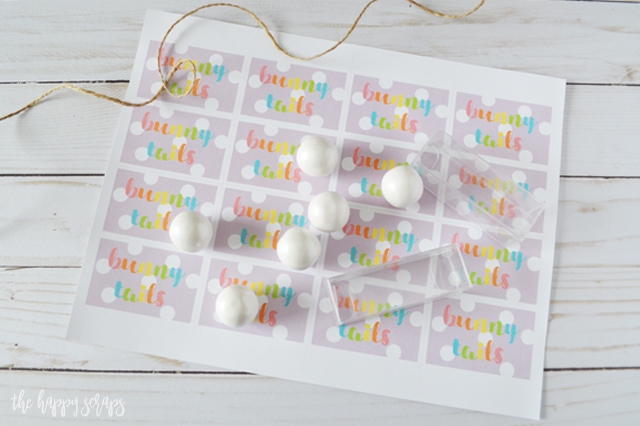 These are seriously super quick to make, and they are so cute and fun! 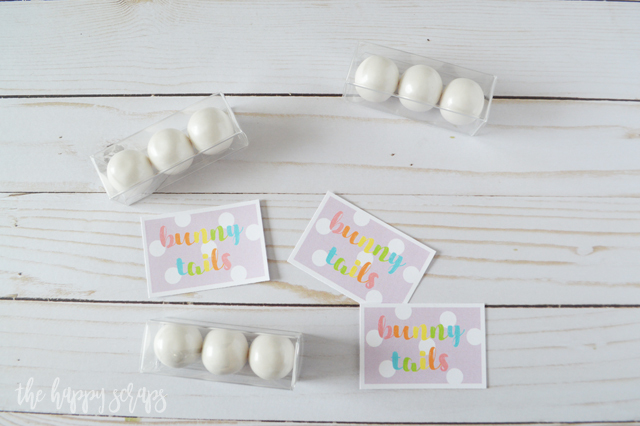 Who wouldn’t love to get some bunny tails? 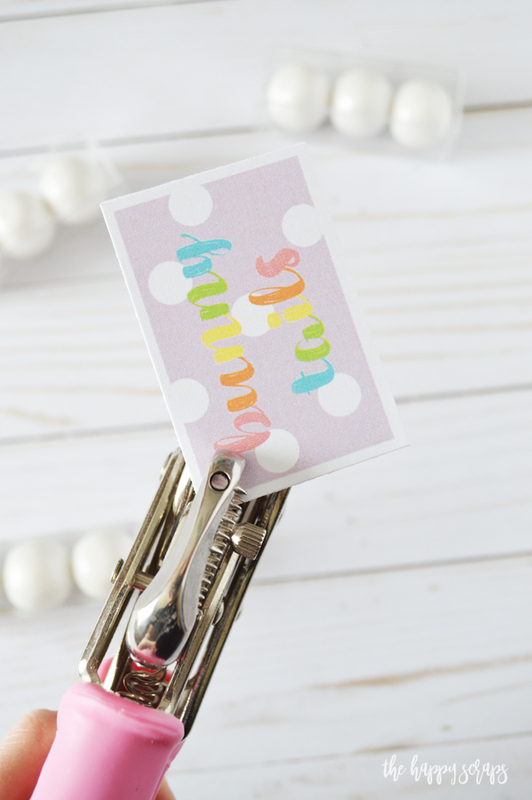 You could also use these cute tags for other things as well. Get your supplies and put some of these together. 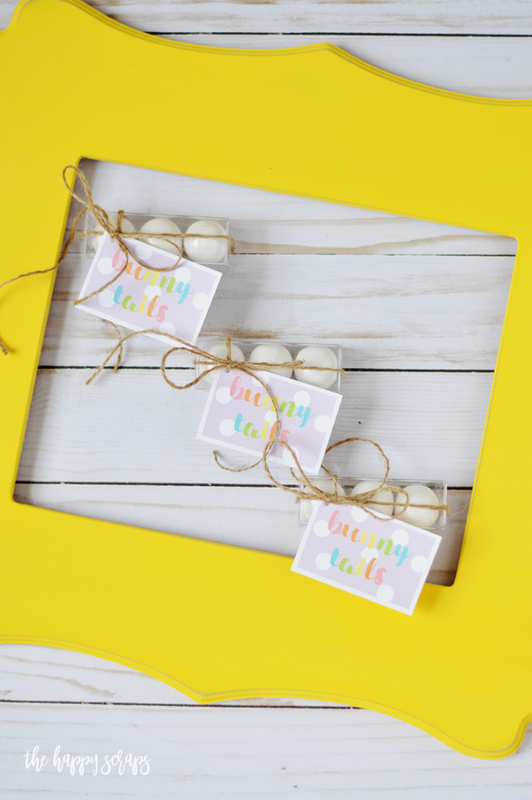 You could even use them for an Easter Egg Hunt. 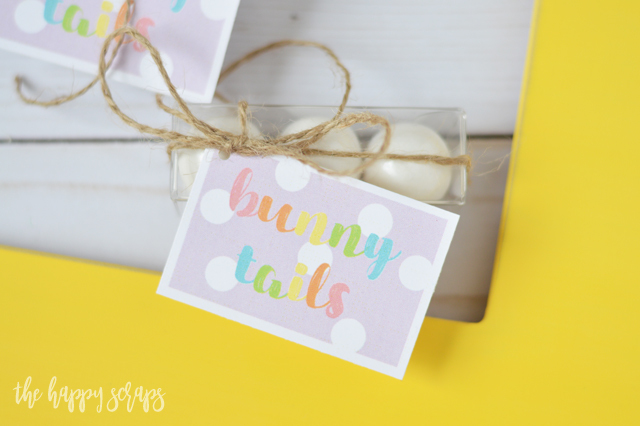 If you enjoyed these Bunny Tails Easter Favor, then check out my other Easter projects in the gallery here. You think of and create the cutest things, thanks for sharing. 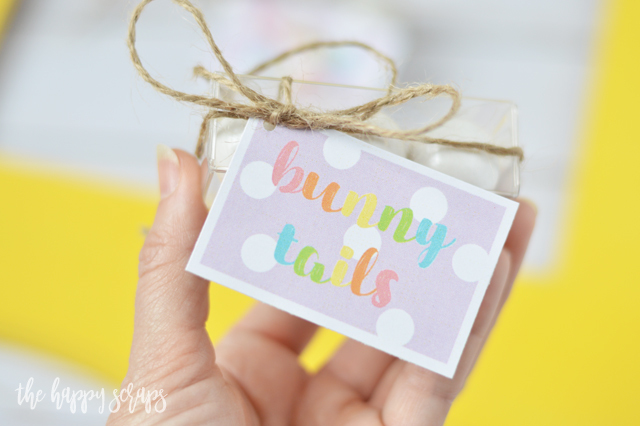 Where did you find see thru boxes for your bunny tails? Thanks for adorable tags. Will be on look out for see thru boxes. 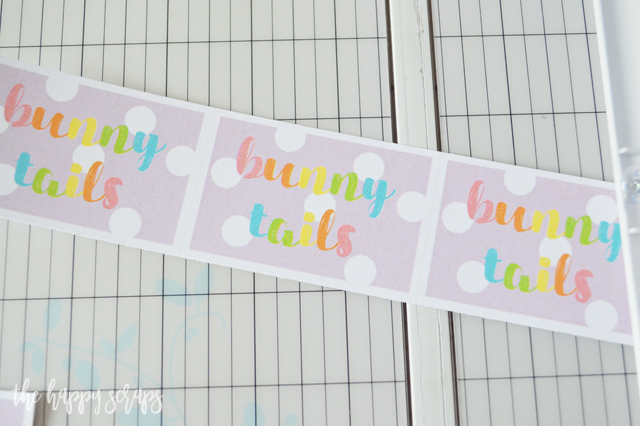 Printing out cute tags. Just got my Easter decorations out today, redid my shutter shelf and all I had on it. 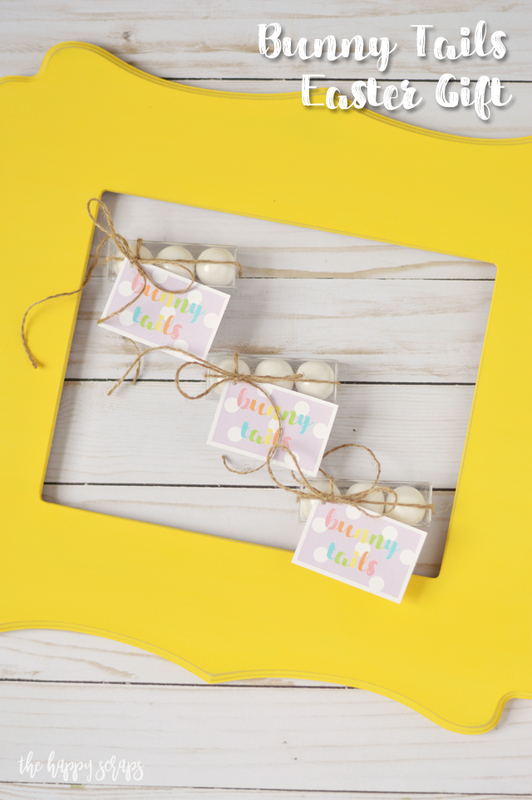 Have Easter decorations on my buffet and little bit on coffee table. Still need to make banner to hang from my shutter shelf. Also put some Easter stuff out on front porch table. Have plenty of decorations. I hope you have a Happy Spring and Easter as well!